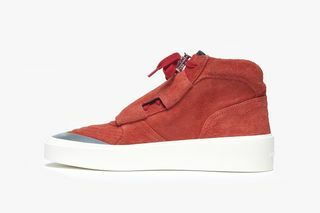 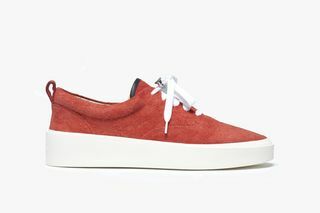 Key Features: Both sneakers are handcrafted in Italy and feature a red Italian rough suede leather upper. 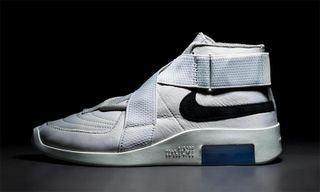 The Skate Mid also has 3M reflective silver synthetic fabric across its toe box and a forefoot strap. 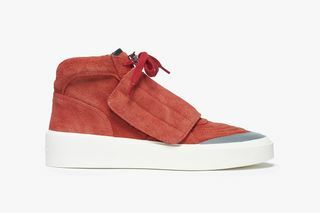 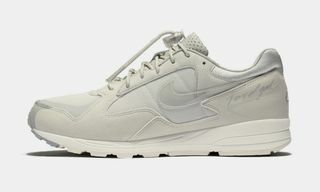 Both models are lined with calf leather and sit on Fear of God’s signature midsole tooling. 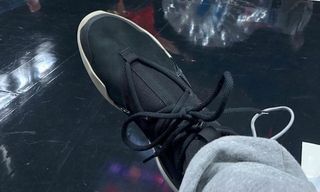 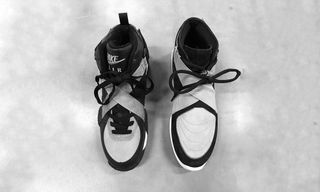 Editor’s Notes: Jerry Lorenzo has unveiled two of the six footwear offerings from Fear of God’s Sixth Collection on his Instagram story. 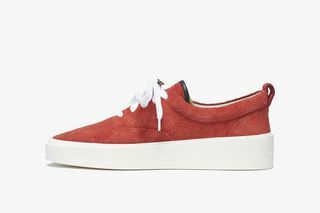 Both models, the Skate Mid and the 101 Lace Up, are dressed in red Italian rough suede. 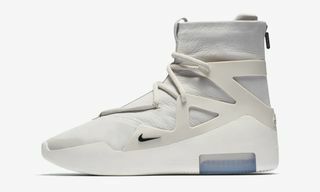 While the 101 Lace Up is a luxury take on the iconic Vans Era silhouette, the Skate Mid looks to be a new style for Fear of God that is reminiscent of the Vans Mountain Edition. 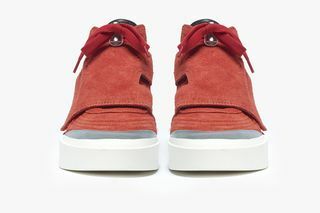 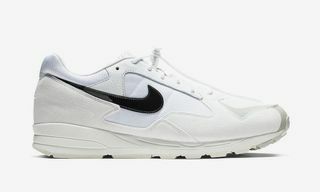 The mid-top construction features a strap across the forefoot, with a lace toggle and suede overlays at the heel, quarter panel, and ankle collar. 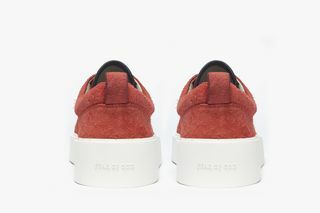 Both styles are available online at Fear of God direct now. 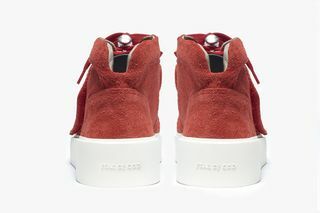 Check them out in detail above and head to Fear of God via the link below to shop the collection.